Next on the docket is a Bluetooth speaker small in size but packs a punch. Divoom has sent us their Bluetune - Solo, modeled off the Bluetune-1, compact Solo comes fully equipped with some additional features to justify the larger price tag. On top of the Bluetooth wireless playback, 8 hour rechargeable battery, audio output, and built in microphone, Divoom’s miniature upgrade includes X-Bass PO-Bass Technology, a higher maximum wattage output, and the ability to link multiple speakers. Internals and capabilities aside, lets see how well this itty bitty speaker enhances my wireless listening experience. This speaker’s stand out feature is it’s portability from the small stature. 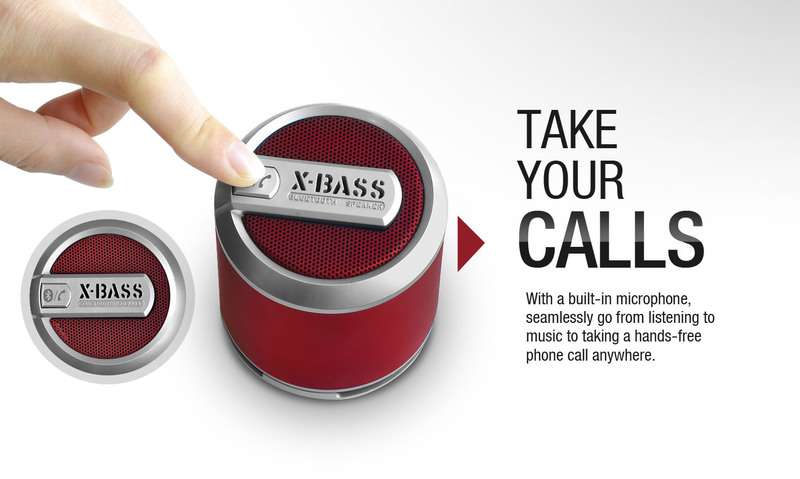 The Bluetune - Solo houses a 50mm driver in a sleek cylindrical housing and this phone companion packs a punch. The volume is controlled by phone which eliminates numerous buttons but a bit hard to get used to when your phone is at a safe distance from the elements. A stand out perk aside from the additional volume to a quiet phone is in my opinion, the audio out ability. 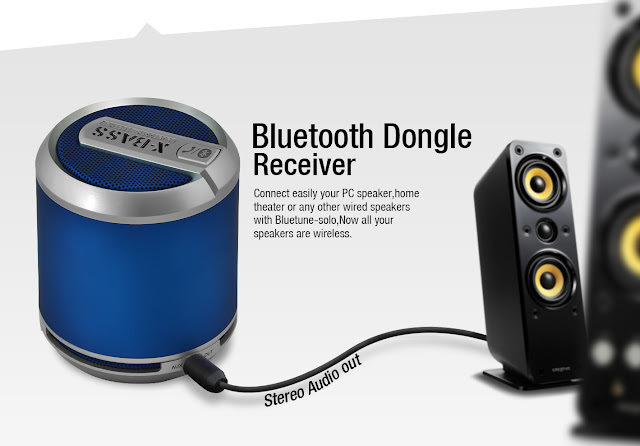 This allows connection through a home stereo’s Line In and allows for wireless playback for larger social settings with control by Bluetooth device. My only complaint would be the sound quality as it can fill a room with sound, but when the volume is over fifty percent, the quality lessens. 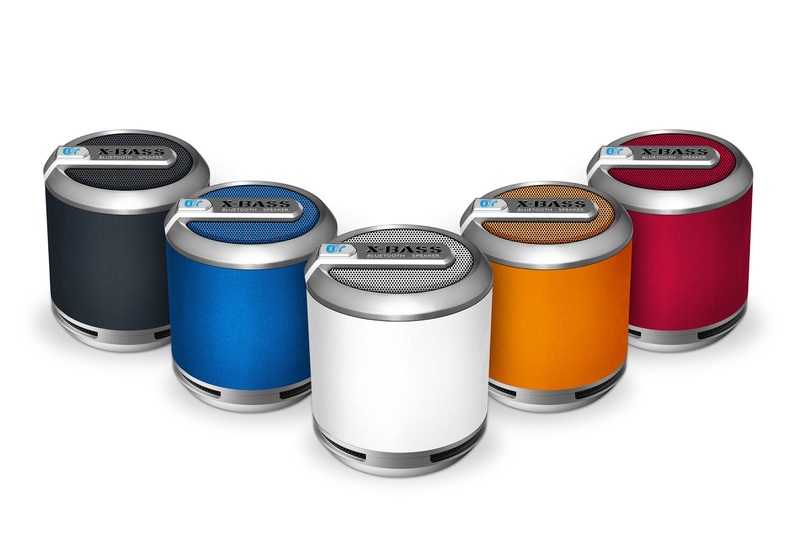 In the end, Divoom’s Bluetune - Solo was a decent speaker, especially for it’s $49.99 price tag. While, other wireless speakers with double the size and speakers definitely provide a better experience but also less convenient to carry. With the Solo, it is easy to throw in a bag and sometimes even in your pocket to take on the go without taking up much space. In my experience with the numerous Bluetooth speakers I have received to review, I think the Bluetune - Solo is a good fit for someone that primarily uses their phone to listen to their playlist and with this easily transportable speaker, it provides just enough to be more that on your phone’s internal speakers and still great for personal use. However, in social occasions, I wouldn’t even try, but using the audio out to a larger system would do the trick.